*Note: This is a sponsored post, thanks for supporting those who support Chow Down USA! All opinions are my own. Photography by @NishatNguyen. 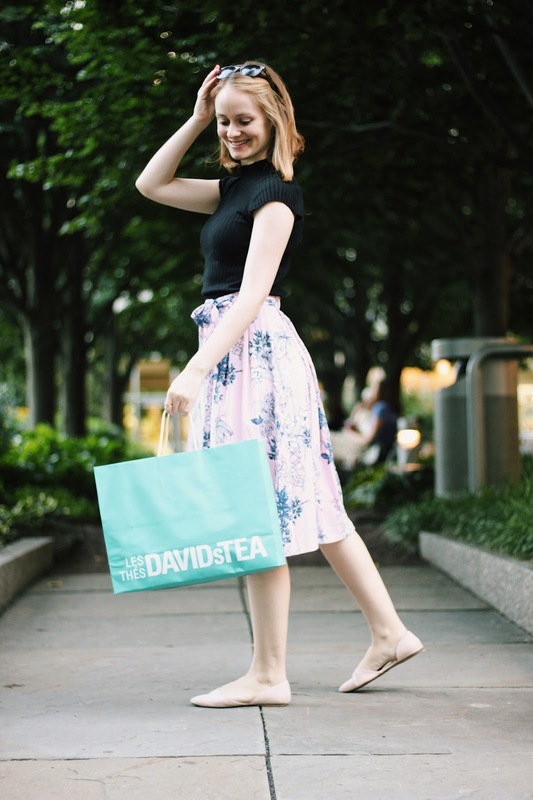 Fun fact: I’m more of a tea drinker than coffee – anyone else?? Coffee often makes me feel like I need to go run in circles, while tea offers a more subtle energy and focus boost that works better for me personally. 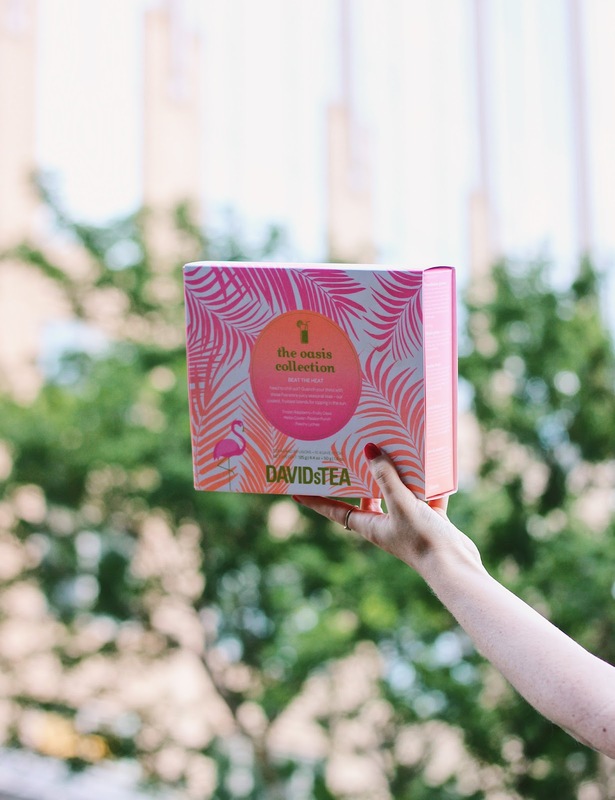 Enter DAVIDsTEA: a brightly-colored, loose-leaf dreamboat of a tea brand, which is based in Montreal and just opened a brand new store at the Prudential Store in the heart of Boston! I got to take a peak inside for a quick tour with the wonderful Jim Burnett, NE District manager / tea expert / all-around super friendly guy. 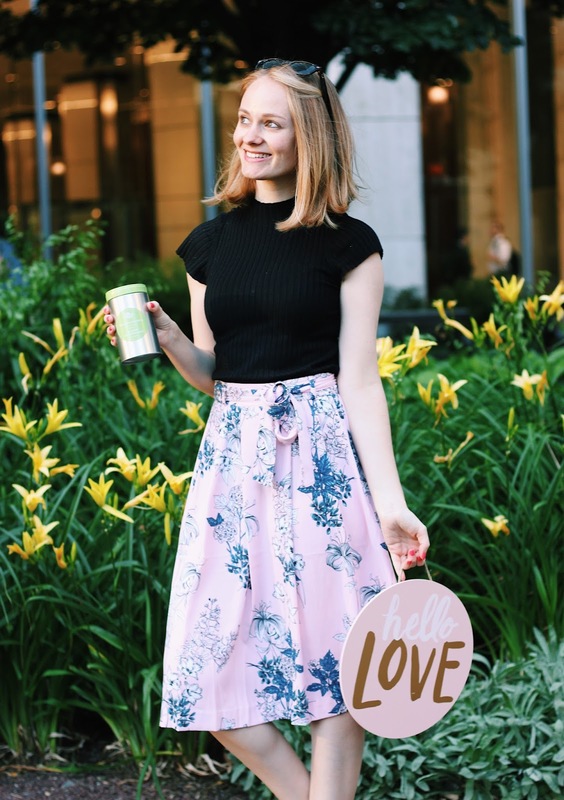 Read on to see why there’s so *matcha* to love about DAVIDsTEA and their newest store at the Pru! Good service is more important to me than anything, so this is at the top of my list. 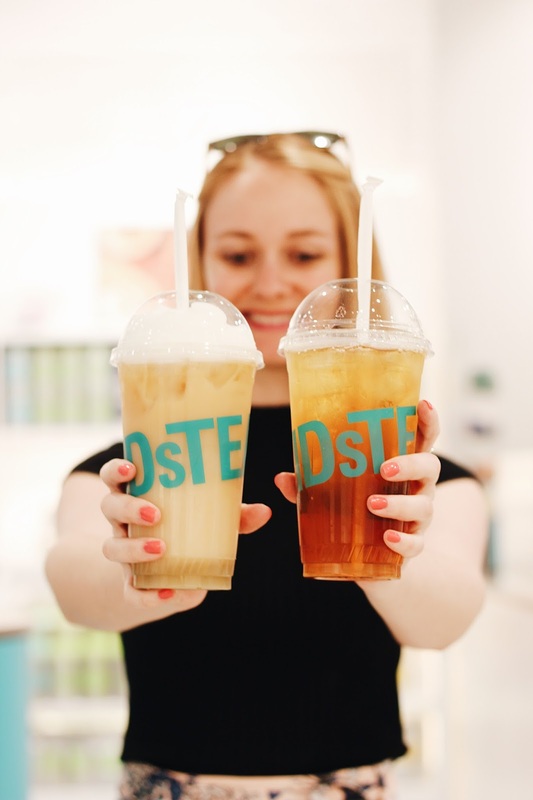 The staff at DAVIDsTEA is always grinning ear-to-ear, and are as friendly as they are knowledgeable – which is saying a lot! 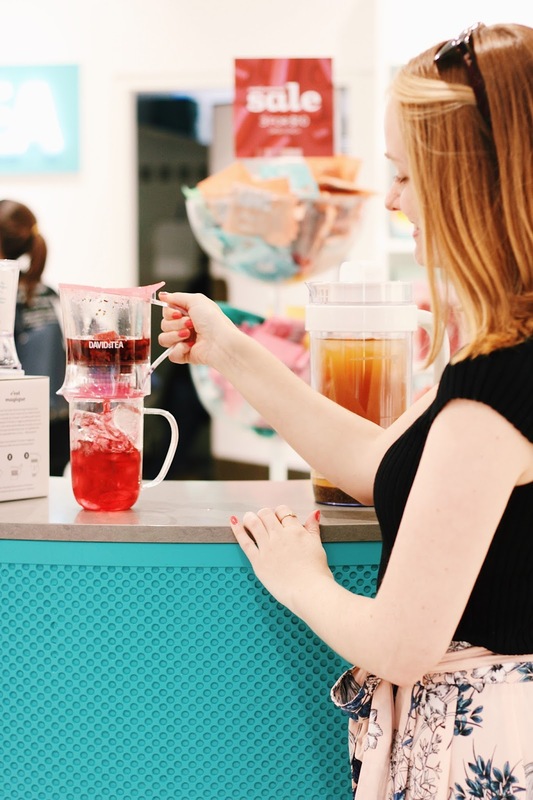 Some tea stores can feel pretentious, but DAVIDsTEA is the exact opposite – they’re super fun and approachable. You can walk in and just browse around with your earphones in if you want, or you can chat with the staff if you have any questions. 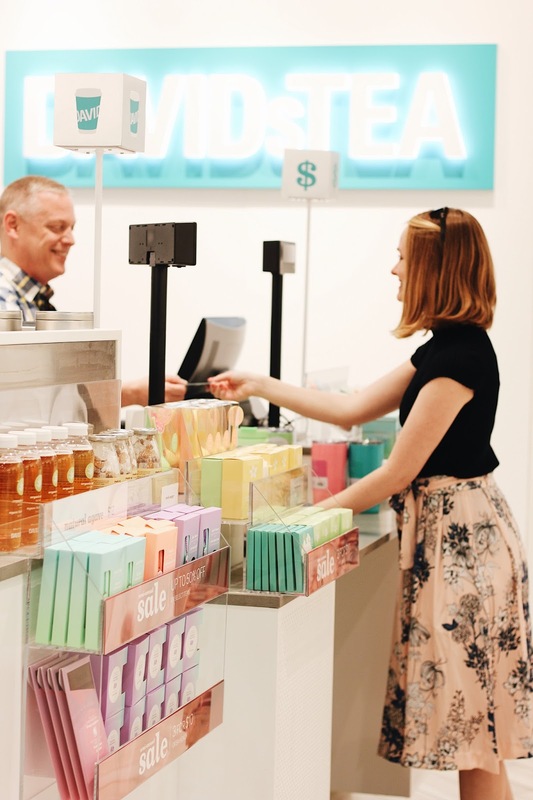 DAVIDsTEA stores, like their products, are filled with bright, pastel colors, crisp white walls and an open, airy feel. As someone who is energized by bright colors, I absolutely love their branding! Rather than being behind the counter, the Pru location actually has all of their teas out for your perusal. They practically have more varieties than you can count, so it’s fun to browse around, smell all of the various teas, and find new flavors that you didn’t even know existed (I’m looking at you, caramel corn)! 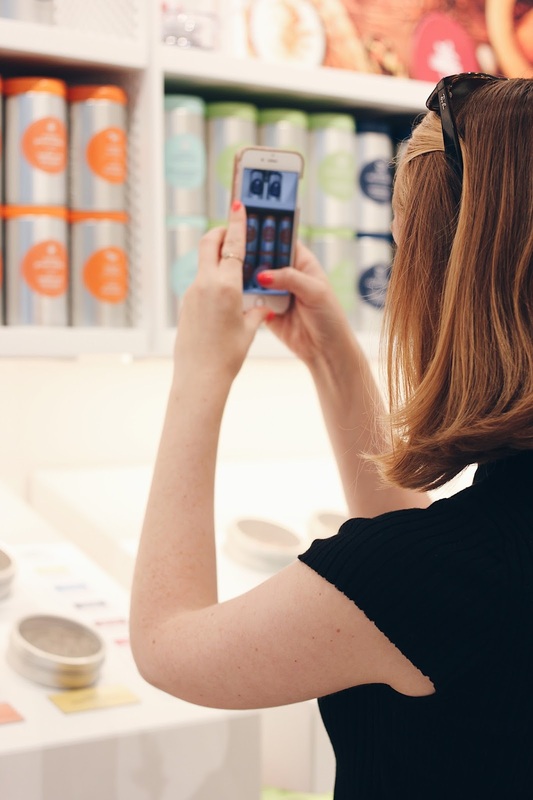 I mentioned the incredible selection of flavors available at DAVIDsTEA, and the background behind their innovation team is just as exciting. There’s an entire team dedicated to selecting and scheduling new tea flavors 2 years ahead of time. Yes, two whole years! 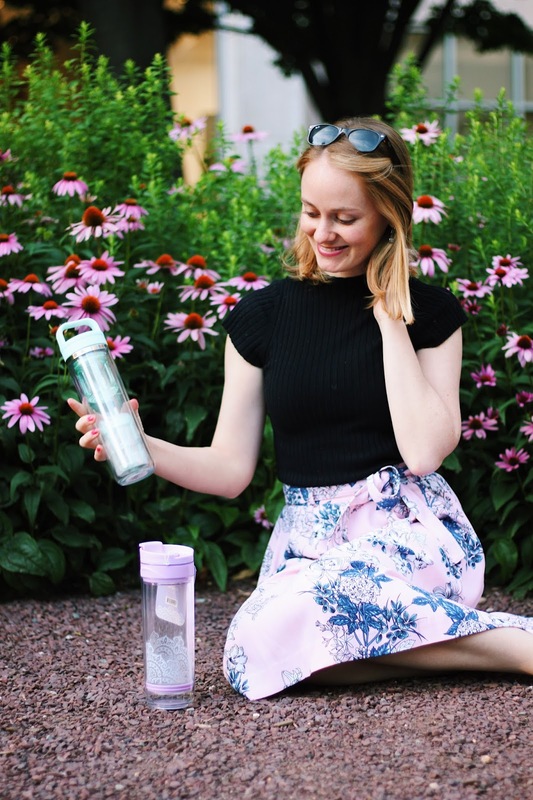 Another example is how their iced tea tumbler took 1.5 years to design to perfection – including a graphic which changes colors when exposed to cold water. They really go above and beyond, creating innovative tastes and teaware that border on works of art. 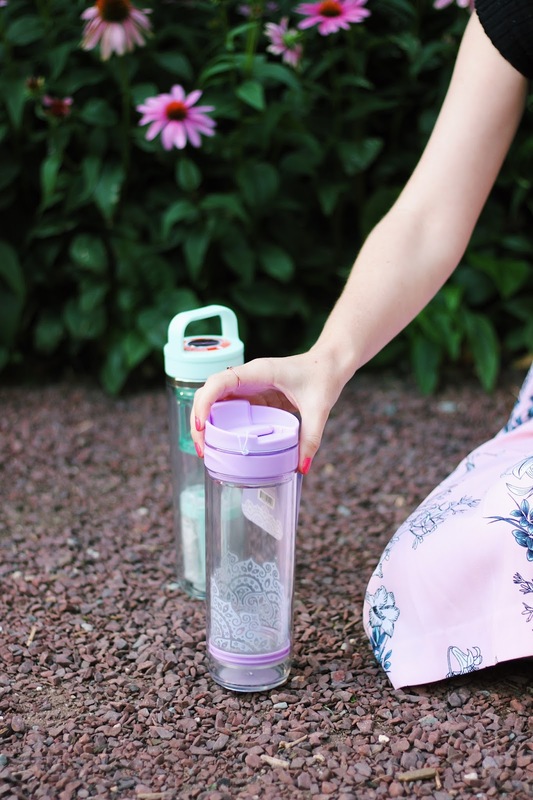 The lilac iced tea tumbler above has an elegant lace design that transforms to purple when filled with ice water! 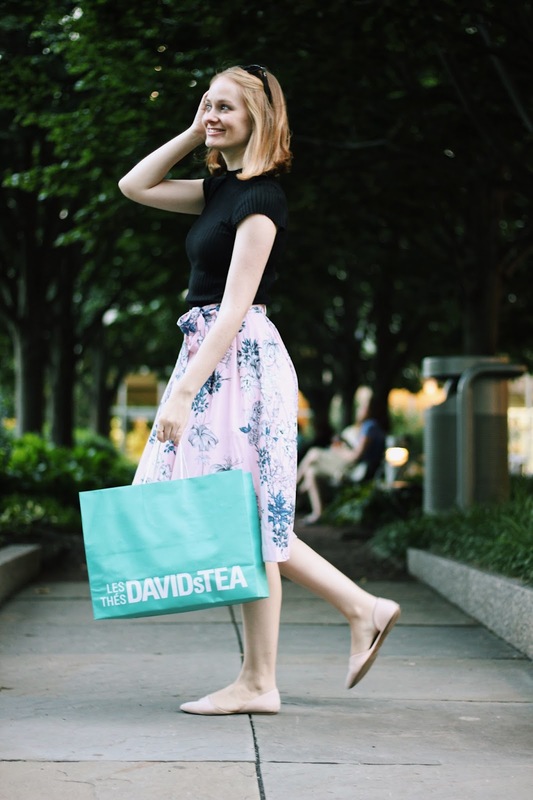 DAVIDsTEA is affordable and has good deals on top of their usual prices. 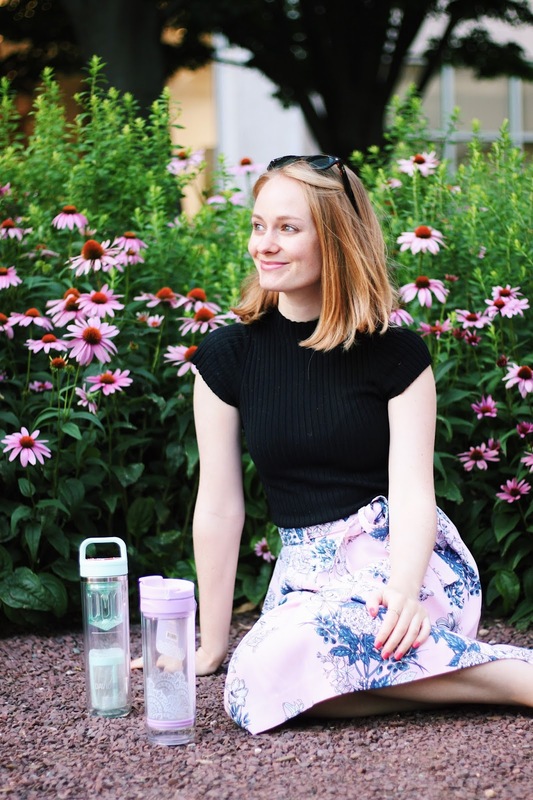 They currently have a 50% off semi-annual sale, and if you get the below tumbler, you can order iced teas off of their in-store menu for $1, as many times as you want, through September! 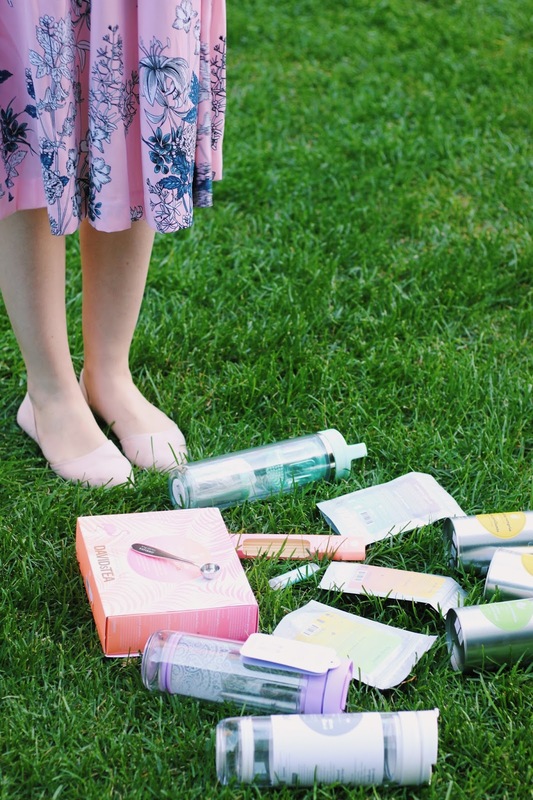 The Summer & Cocktail collection is as fun as it sounds, including flavors like cotton candy, sparkling sangria, rose all day, strawberry lemonade, and raspberry mojito. The cocktail varieties mix well in adult beverage recipes, how fun is that for summer! I’ve tried a myriad of flavors, and my faves so far include the Berries n Cream Matcha, Rose All Day, and Passion Punch! The Passion Punch is a crowd favorite. With a subtle sweet / tangy flavor and tropical aroma, it’s perfect to have at a summer soiree! The Berries and Cream Matcha is a wonderful combination or fruity berries and natural vanilla. It’s super smooth, light and refreshing, with a great consistent ﻿energy boost! On a previous trip to DAVIDsTEA in Lynnfield, they gave us a great matcha tea demonstration, and taught us about how you get great sustained energy from matcha (as opposed to a sudden boost as with coffee and other teas). There are tons of health benefits to matcha, reflected in it’s natural green hue. 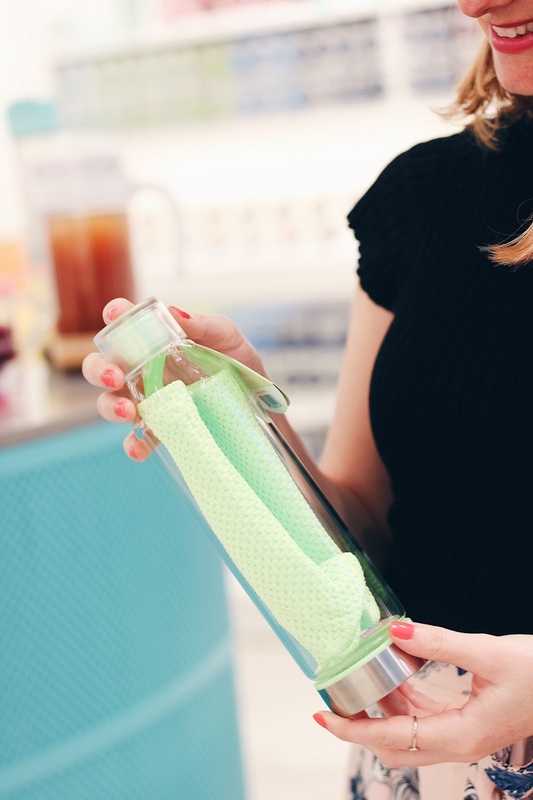 DAVIDsTEA has multiple varieties which you can prepare hot or iced, including honeydew, berries & cream, and Hawaiian punch! 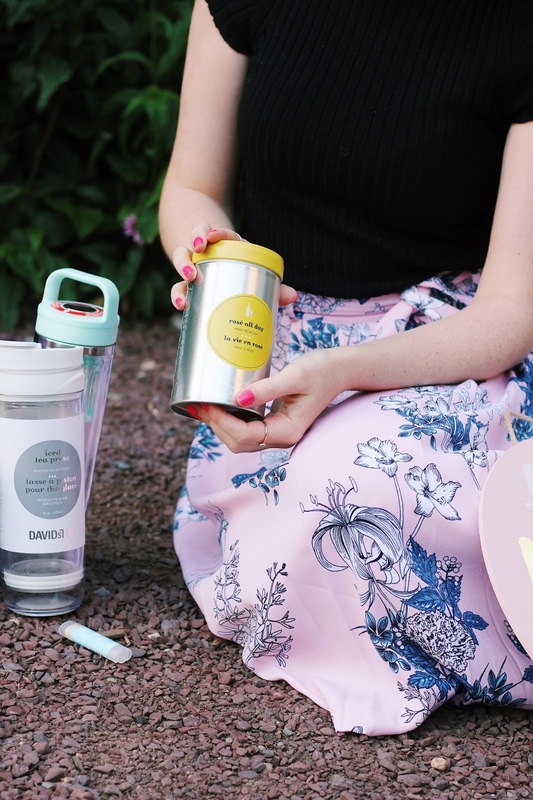 They also offer a tumbler that can be used for tea or matcha (on the left below), how cool is that? 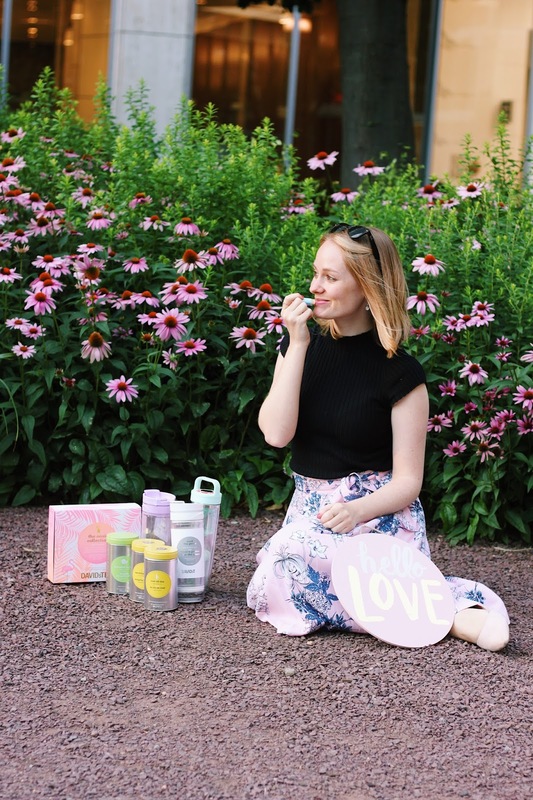 From brithday cake tea-infused lip butter to tea-infused chocolate, DAVIDsTEA branches out from the beverage world into other creative accessories to enjoy! 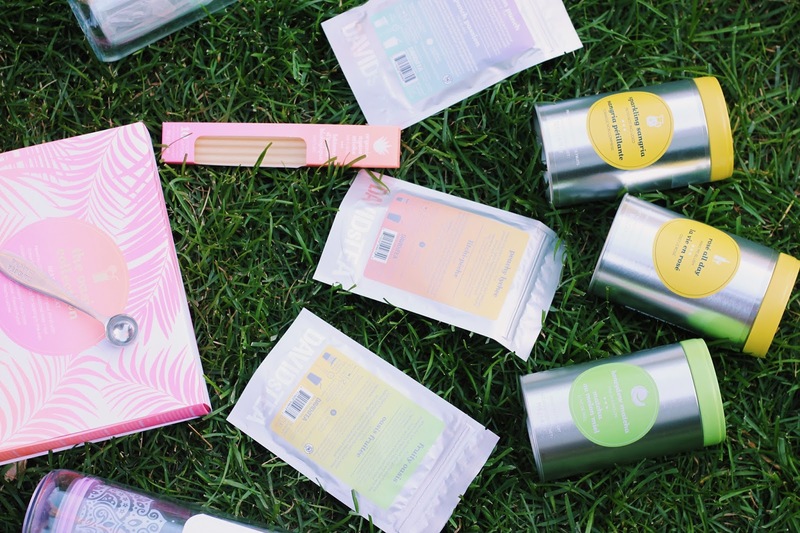 From iced teas, to matcha and summer & cocktail blends, DAVIDsTEA has every tea tool and flavor you could hope for. 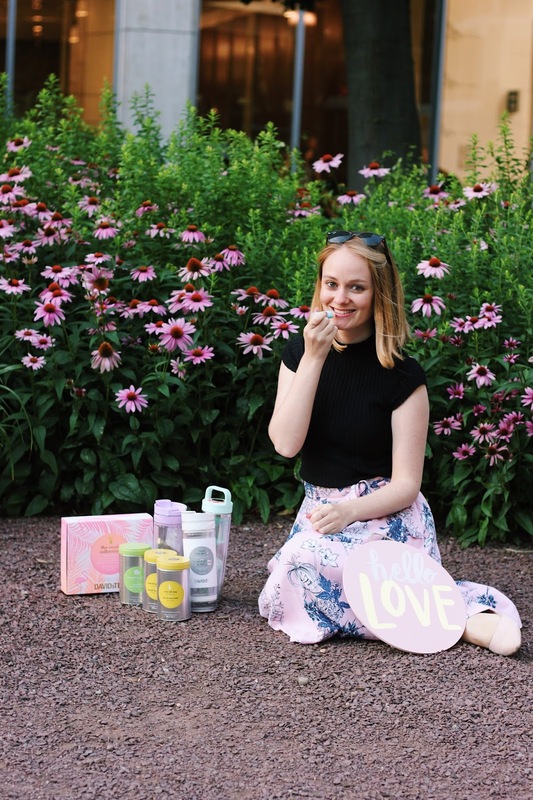 Their modern, colorful packaging, accessible tea wall and friendly staff will make you the hostess with the mostest, and are all waiting for you to visit at Boston’s Prudential Center! 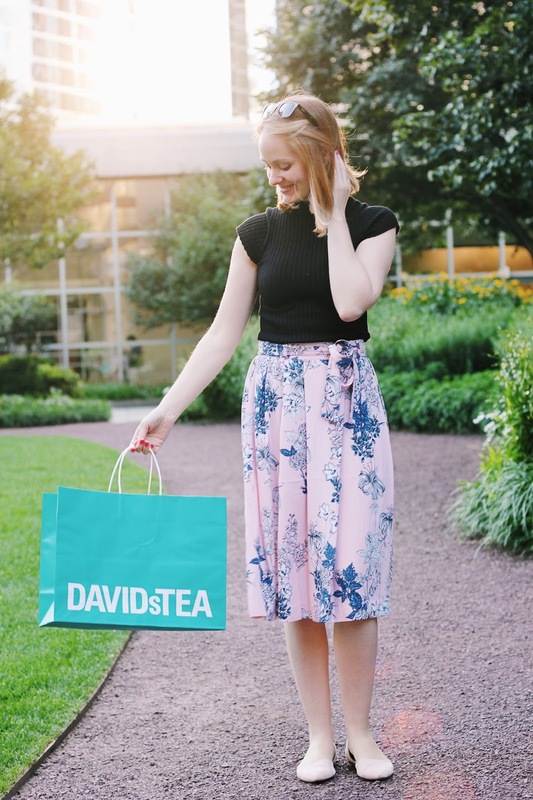 Comment Challenge: Have you tried DAVIDsTEA and visited their store? What’s your favorite tea flavor?